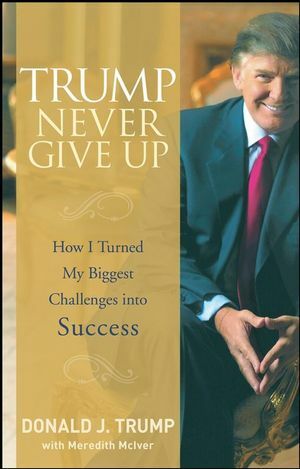 In Never Give Up, Donald Trump tells the dramatic stories of his biggest challenges, lowest moments, and worst mistakes--and how he uses tenacity and creativity to turn defeat into victory. Each chapter includes an inspiring story from Trump's career and concludes with expert commentary and coaching from adversity researcher and author Paul Stoltz. Inspirational and intelligent, Never Give Up will help you deal with your own personal challenges, failures, and weaknesses.